A boating accident can be a frightening experience and sometimes, it can be challenging to figure out what actions to take when it comes to handling such incidents. Knowing the steps to take once an accident of this kind has occurred can go a long way in helping to save lives and protect your legal rights. The law in most states allow a person to pursue a claim for damages, but in most cases, it is your duty as the victim to ensure your legal rights are protected. This article offers a step-by-step guide in what you are to do when you are involved in a boating accident. After a boating accident has occurred, your first step is to ascertain who requires medical attention. Make sure you conduct a fast assessment of your condition so you can be sure whether you require some medical help. If you need some attention, you can call for help or ask another person to call for assistance on your behalf. In case you don’t require any medical attention, check with everyone else to see if there is anyone who is hurt. In a boating accident, there is a high chance at least one individual was injured and requires medical help. In any case, it is imperative to remember that seeking medical assistance should be a priority for everyone who was involved in the accident. This can be done either at the accident scene or afterwards. If you believe that your injuries are not that serious, then you should consider getting treatment afterwards. Visit a medical expert shortly after you have left the accident so you can be certain that your health condition is perfect. There could be instances of internal injuries which you may not have noticed and these could later on turn to be more serious. Symptoms can take days before manifesting and that is why you are advised to see a doctor immediately. Sometimes, the impact of the accident can be so great that you get thrown out of the boat into the lake or sea. If you are still in the water, it is advisable to get back onto the vessel unless it is unstable or sinking. Look for other people who may require assistance getting onto the boat as well. You may have been lucky not to be thrown into the water, but there is a possibility that others could have been thrown as a result of the impact. Once every individual has been accounted for, the boat can now be moved to safety. While doing so, make sure you are not blocking other vessels from moving freely in the water because this could result in another accident. After the accident has taken place, make sure you contact the Coast Guard with immediate effect. They will need to know your precise location so they can easily find you. They will also inquire whether there are casualties or fatalities due to the accident so they can know how best to handle the situation. If there are people who have been seriously injured, the professionals can send for medical assistance. Once you have notified them, remain on site and do not leave unless it is absolutely necessary to leave. If you leave the location, the Coast Guard will have a difficult time finding you. The Coast Guard will collect as much information as possible about the accident so they can present a report on the accident. If they ask questions, make sure you answer them accurately and be honest for the sake of your safety and the safety of others. Knowing exactly what transpired can help the Coast Guard to prevent future incidents from occurring. Exchange contacts and insurance information with other passengers in the boat. That way, it becomes easier for you to contact them when filing a claim after the accident. You can also document the identification or registration number of other boats that are involved in the accident. Remember, people who were involved in the accident can provide valuable information that will help you to prove liability as well as recover compensation for the injuries you have sustained. Make sure you keep their details safe so you don’t lose them and inform them that you will get in touch. After the boating accident has occurred, try as much as possible to document evidence from the scene. You can use your smartphone to take pictures of the boat’s condition, it's surrounding, and pictures of the injured passengers. If there are other boats involved, you can take their pictures as well. Look around the scene and identify if there are any other items that are significant and can be used in the case. If so, take images of such items as well. All the photos taken at the scene can go a long way in proving liability in court. After the accident, you will need to seek medical assistance if you have already done that. The next step after seeking medical attention is to contact a lawyer so they can represent you in your personal injury case. 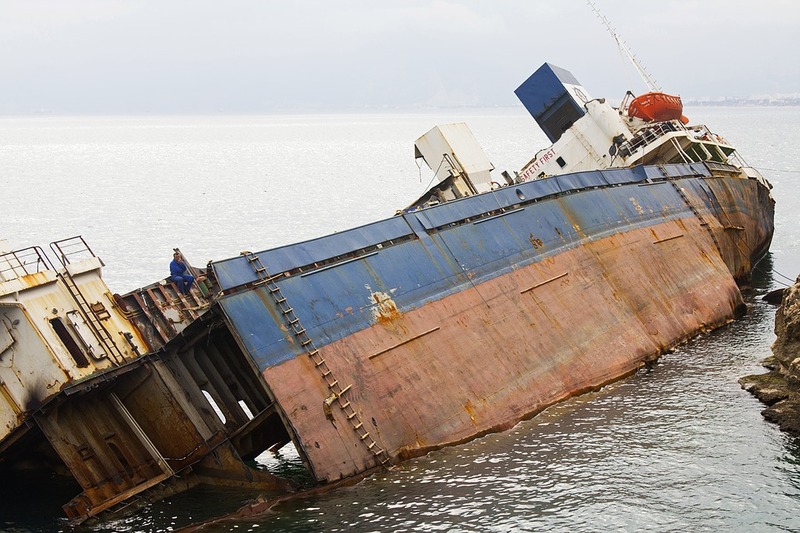 Since a boating accident case differs from other personal injury cases, you will need to look for a maritime lawyer. Let your attorney do the investigation for you as well as negotiate with the insurance company of the party at fault. While they work towards attaining a resolution for your case, you can focus on the recovery part. Boating accident cases can be intricate so if you plan to pursue a case on your own, you are likely to lose especially if you have no knowledge of the law. That is why it is always recommended to hire a legal professional to represent you. The above is a step-by-step guide on what you can do when you are involved in a boating accident. Knowing what steps to take places you at an advantaged position compared with a person without the right information. Most importantly, you need to hire a lawyer to represent you in case of a liability claim.